This blog covers all things concerning the various studies that make up the educational plan for the year. 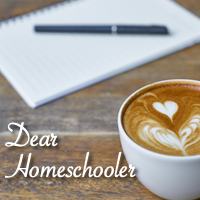 As homeschoolers, we have the freedom to be able pick and choose which curriculum to follow, which subjects include or exclude, and which levels to teach at. Here, I write my thoughts on interest-driven curricula, lesson plans and objectives, and looking at scope and sequence. I may touch on topics such as the controversial ‘Common Core’. You will also find suggestions on how to design an educational plan that will both reinforce your student’s skills and aptitude but will also strengthen areas of weakness. Never miss a post, resource, or giveaway!